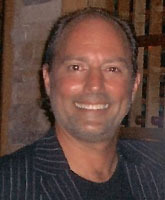 Dr. Alan Levy is a graduate of the Ohio State University and Case Western Reserve University School of Dentistry. A former clinical instructor of Fixed Prosthodontics at the U.S.C. School of Dentistry, Dr. Levy completed a medical and trauma based residency at the Mount Sinai Hospital of Cleveland, Ohio. Dr. Levy has been a lecturer on cosmetic dentistry for the California Dental Association and a spokesman for the American Cancer Society. He is a 20-year member of the Peer Review Committee of the San Fernando Valley Dental Society, and a member of the American Academy of Cosmetic Dentistry (AACD). On the Medical Staff of Providence Tarzana Regional Medical Center, Dr. Levy directs a multi-specialty group dental practice. Dr. Levy lives in Hidden Hills with his beautiful wife, Dawn and children Grant and Gavin. They share a love of all sports, pets, Sushi, travel and all things Lakers, Dodgers, Trojans and Buckeyes.